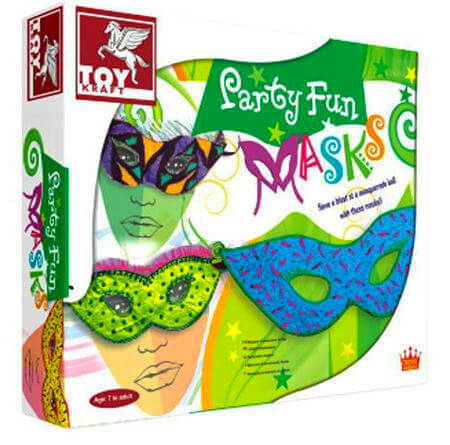 Craft Eye Mask Paint Decorate Kit gives you everything you need to make 6 canvas half masks which you can decorate and paint. Using the stencil mark the canvas, cut out your mask and decorate with metalic paint, sequins, ribbons and attach black ribbon to tie it on. Material: Canvas, paint, sequins, glue, paintbrush. We like this because: "Can make really effective and quite complicated designs."